At Garden Selections we pride ourselves on our wide range of handpicked garden and homeware products that make ideal gifts for all ages and budgets. 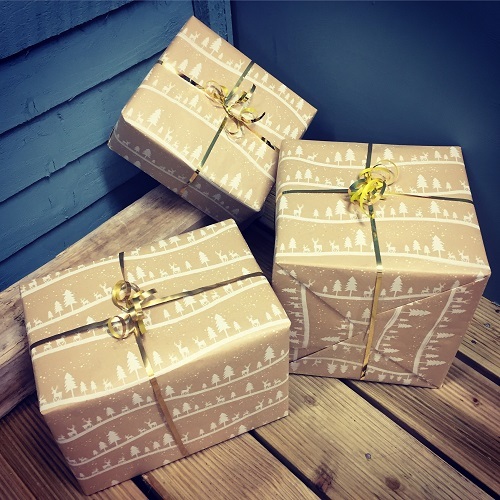 To ensure your gift shopping experience with us is happy and convenient, we've introduced a handy new gift wrapping service. * Not all products are suitable for giftwrap as they may be too large or heavy. If your selected item is suitable, the Gift Wrap service will be available to select on the product listing. * As this is a new service, not all products are yet showing suitability for the Gift Wrap service. * If you would like to use this service, please call our Customer Service Team and they will advise you whether it is possible for your chosen item. * The cost for personalised gift wrapping is £3.50 per gift. If you would like any other help and advice regarding this service please email help@selections.com or call our Customer Service Team on 01258 837 970.